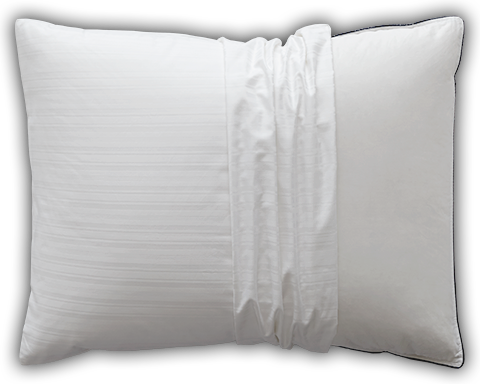 Luxuriously soft, washable pillow protector made with a 600 thread count cotton. It offers supreme comfort while prolonging the life and cleanliness of your favorite pillow. Chic tone-on-tone stripes with a hidden zipper closure. These are the best pillow protectors I've had. The zipper is so hidden, you never feel it while sleeping. They are very smooth, so no rough lumps or bumps on the face. I really like these. An exceptional pillow needs an equally exceptional cover to protect it. Our Luxury Pillow Protector delivers with its incredibly soft, 600 thread count 100% cotton fabric. This high-quality protector prolongs the life and cleanliness of your favorite pillow so you can enjoy it for years to come.